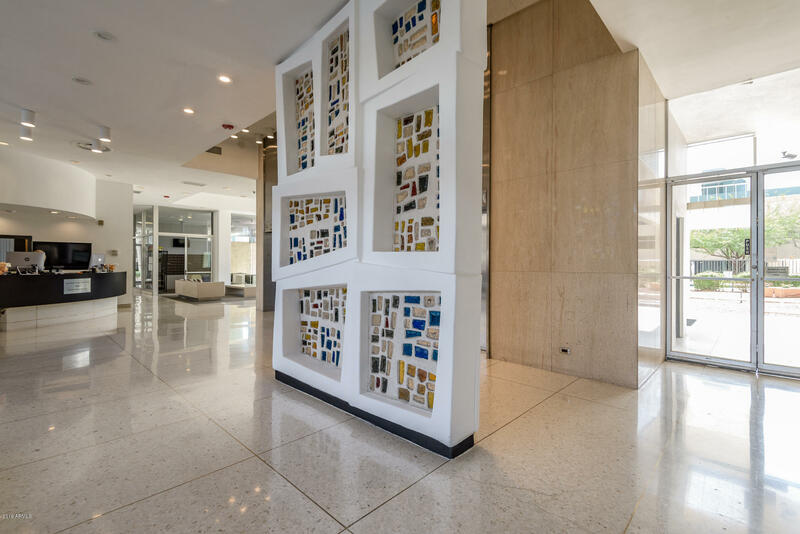 The 22 story Executive Towers is a magnificent melding of art and architecture designed by Modernist Architect Al Beadle. 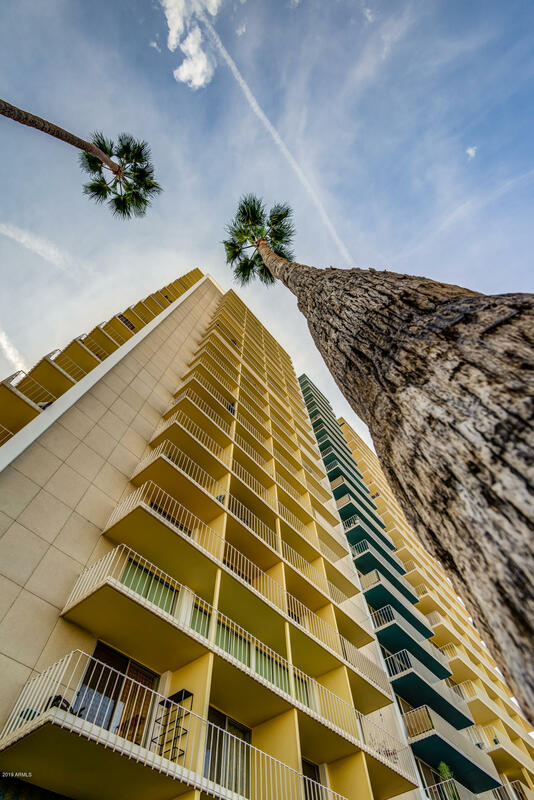 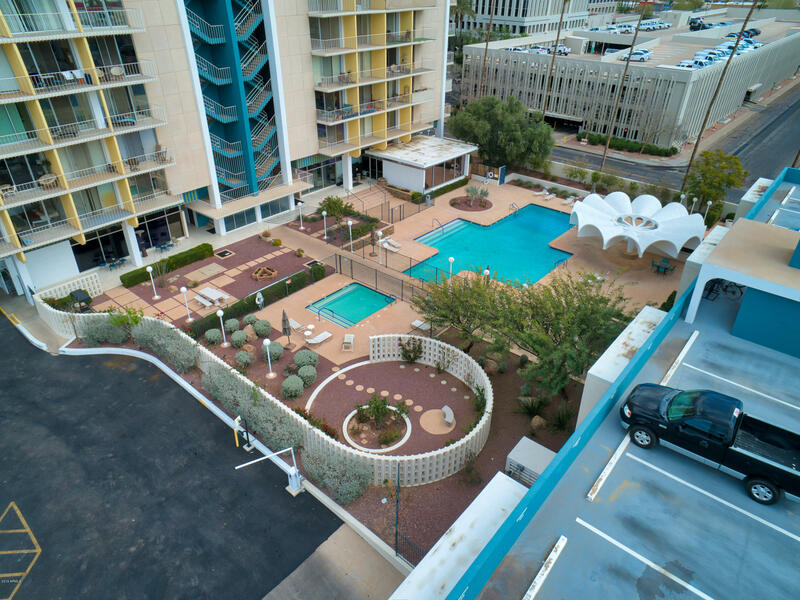 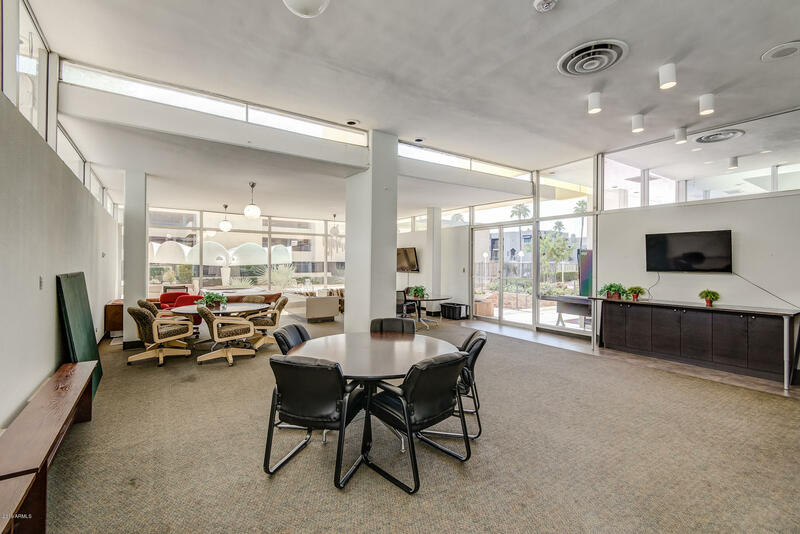 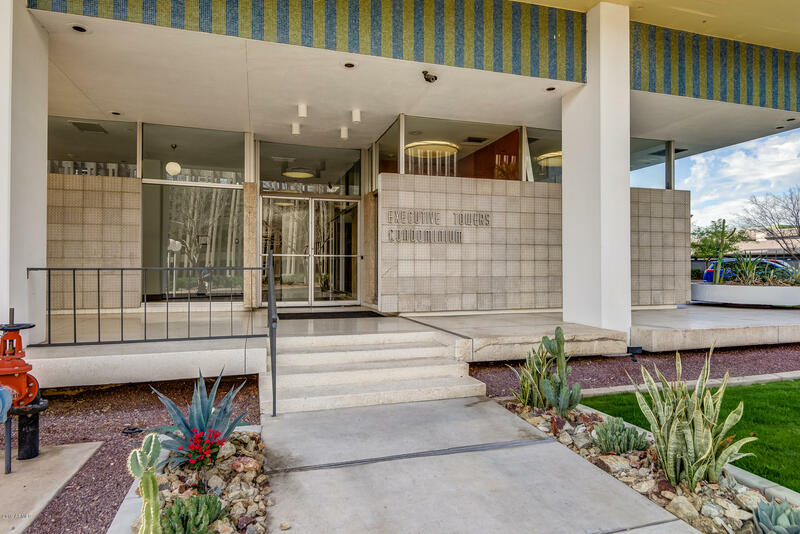 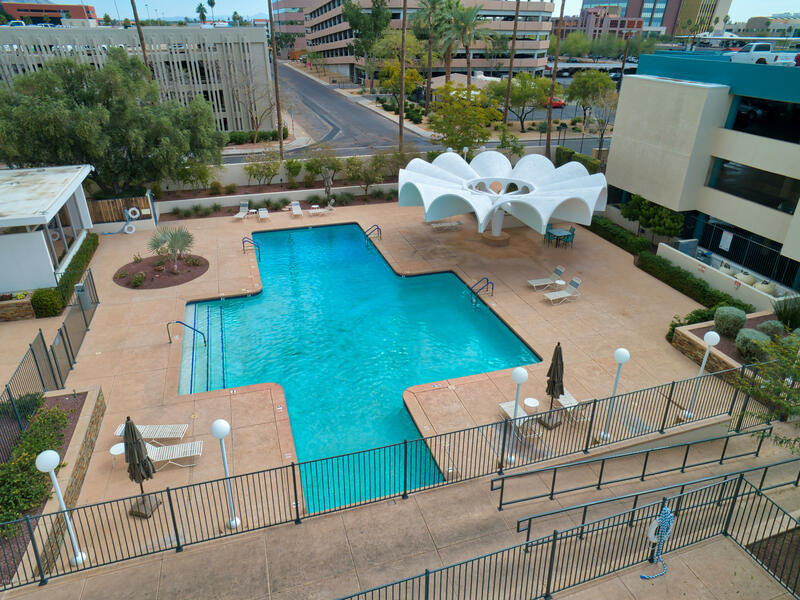 In 1963 this perfect symbolism of Mid-century Modernism brought to Phoenix the ultimate in glamour and security of high-rise living. 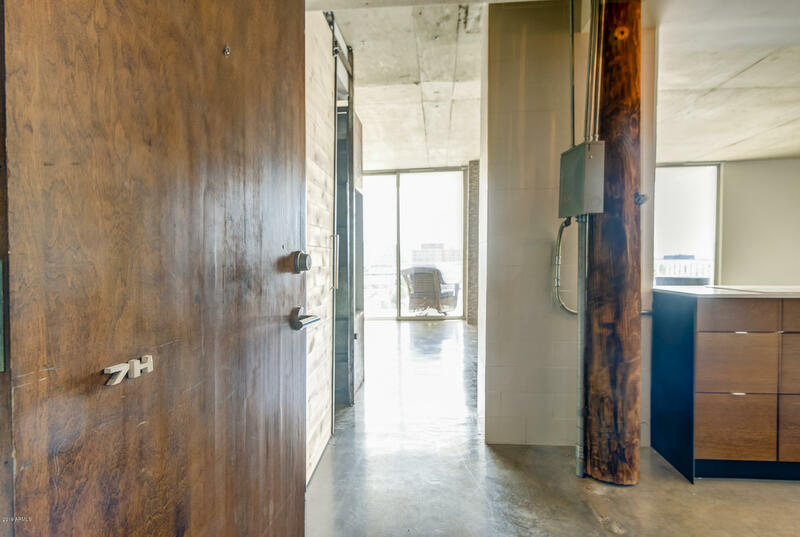 Prestige, privacy, perfection - without extravagance. 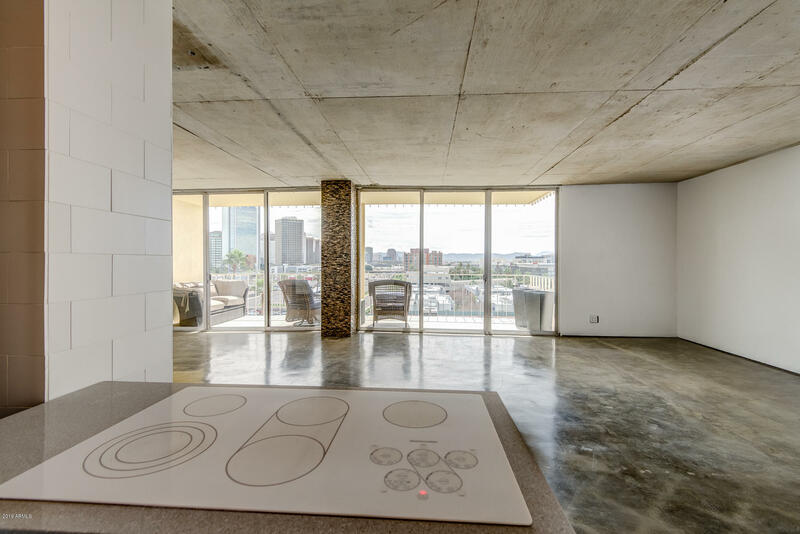 Your Luxury Home in the Sky! 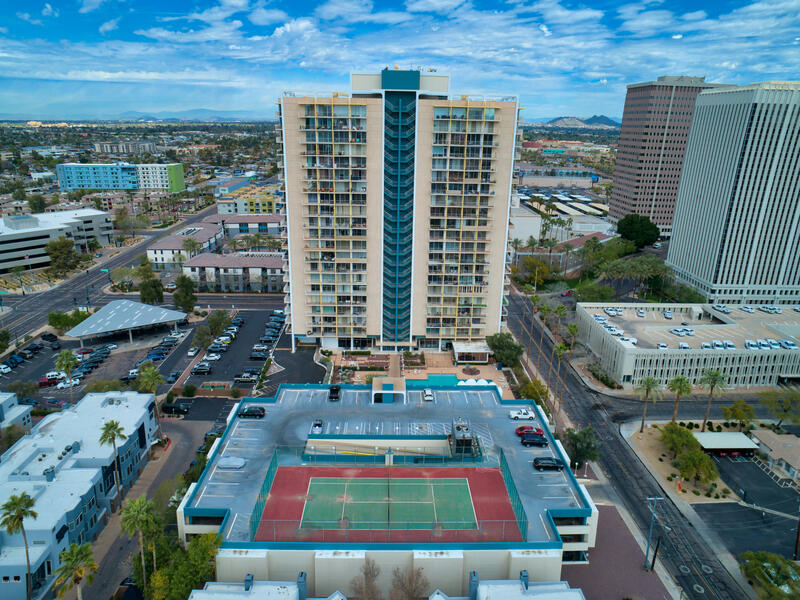 The imaginative structure provides superb personal surroundings, private recreation area, private parking garage and a unique combination of facilities and services specifically designed for privacy, quiet security and comfort. 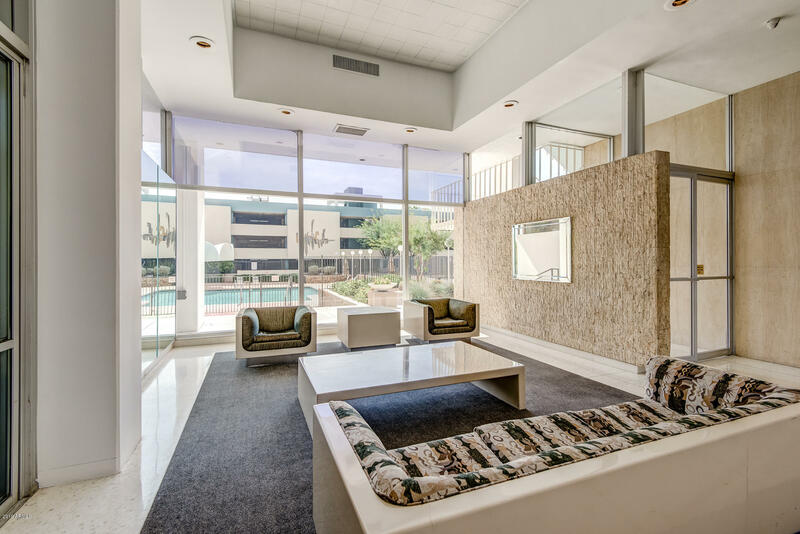 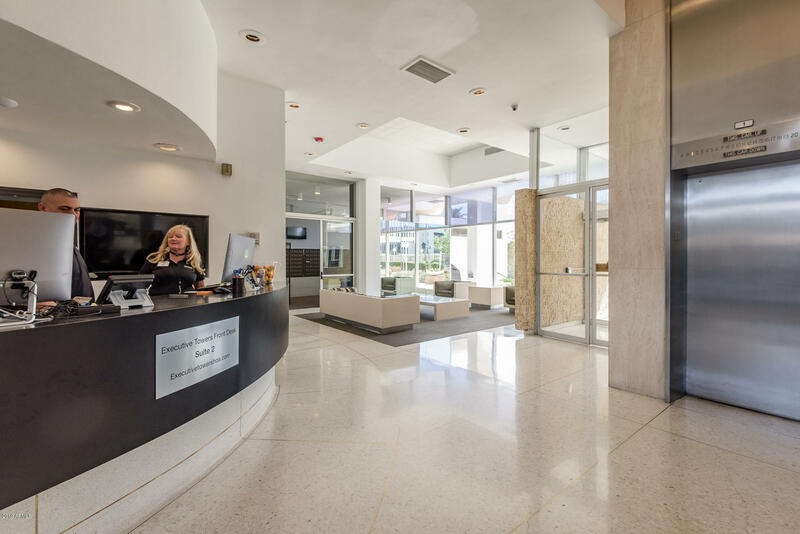 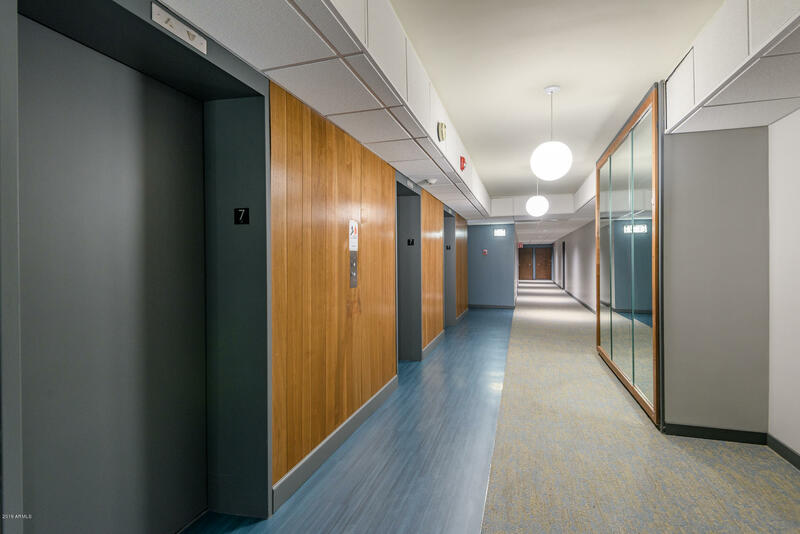 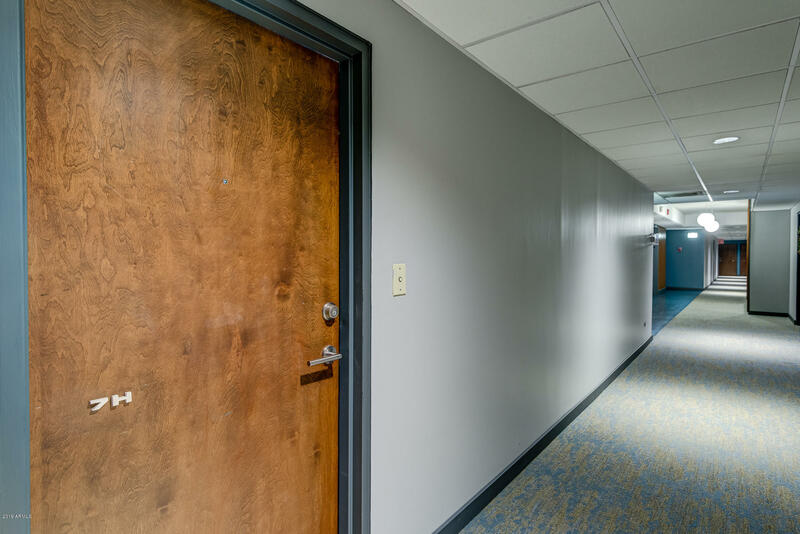 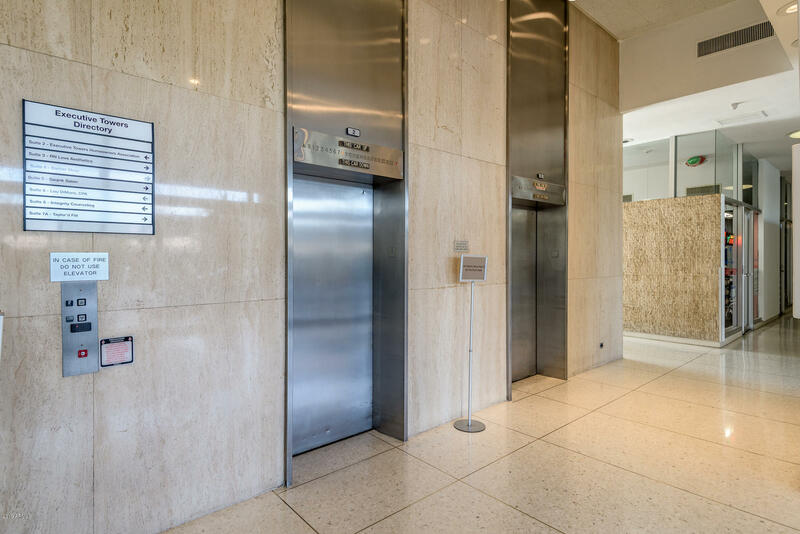 On the National Register of Historic Places the Executive Towers takes you back in time without sacrificing the comforts of today. 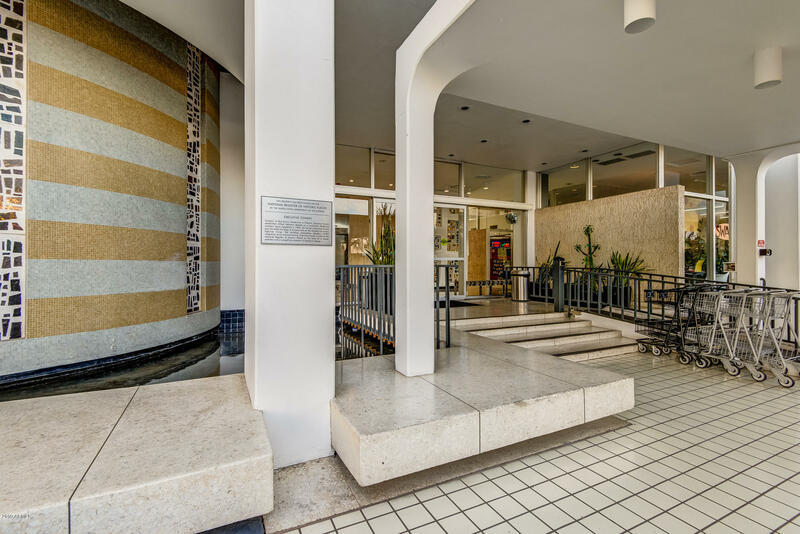 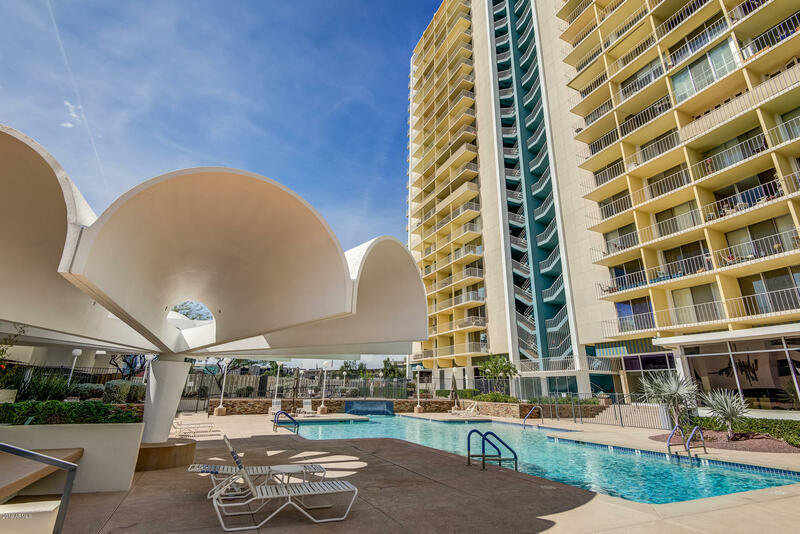 The beautiful recreation area is dominated by the luxurious 105 by 41 foot swimming pool, 40 foot diameter Concrete Expressionist Umbrella by Al Beadle and Sgraffito by Milton Tuttle on the parking garage further fusing function, art and architecture. 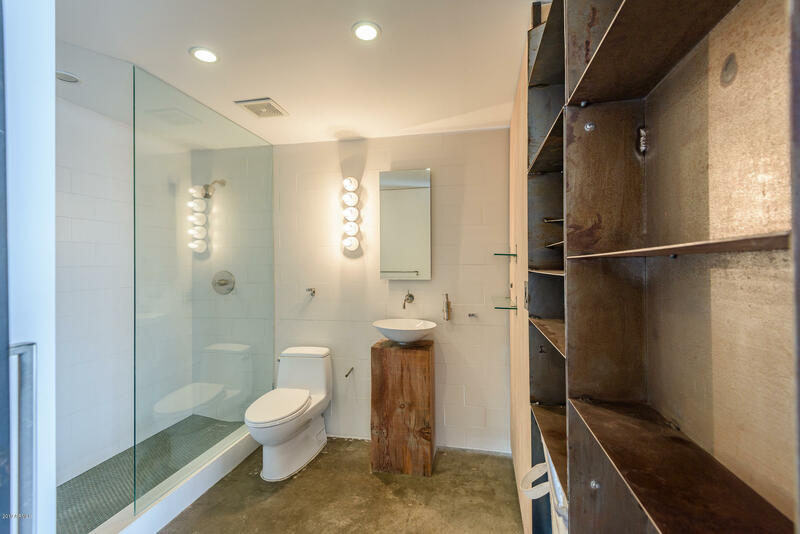 Unit 7H has been remodeled and updated to reflect today's minimalist modernism. 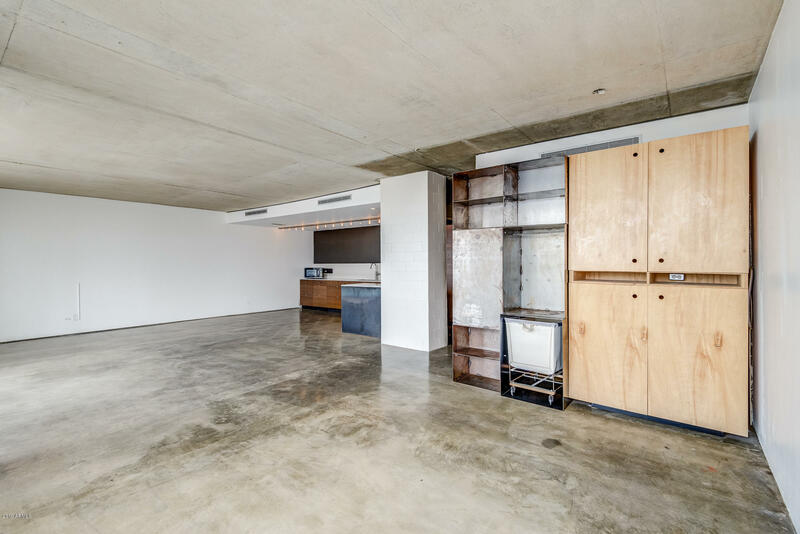 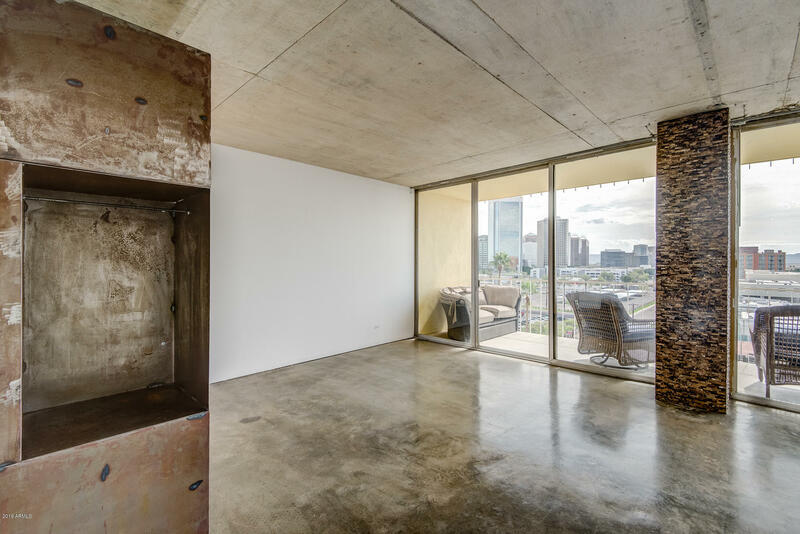 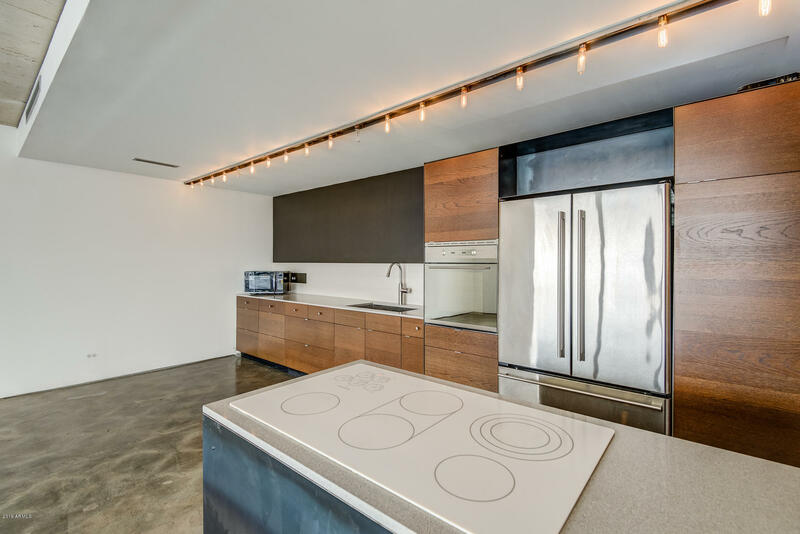 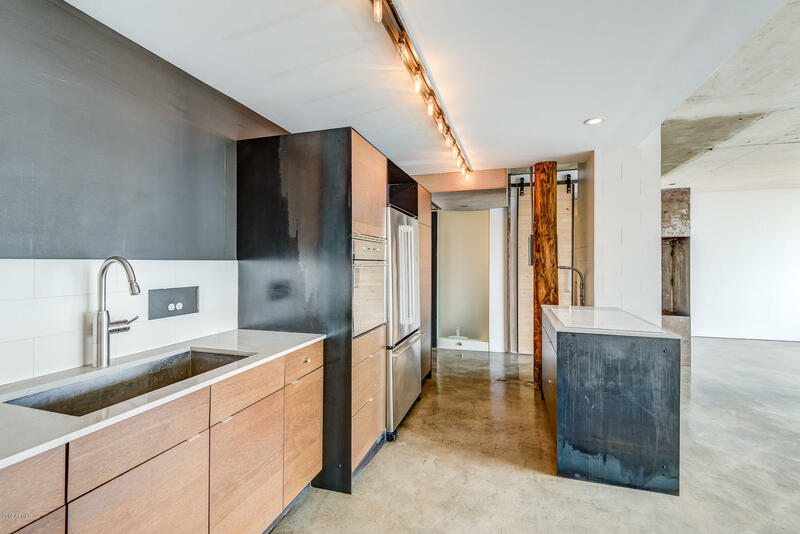 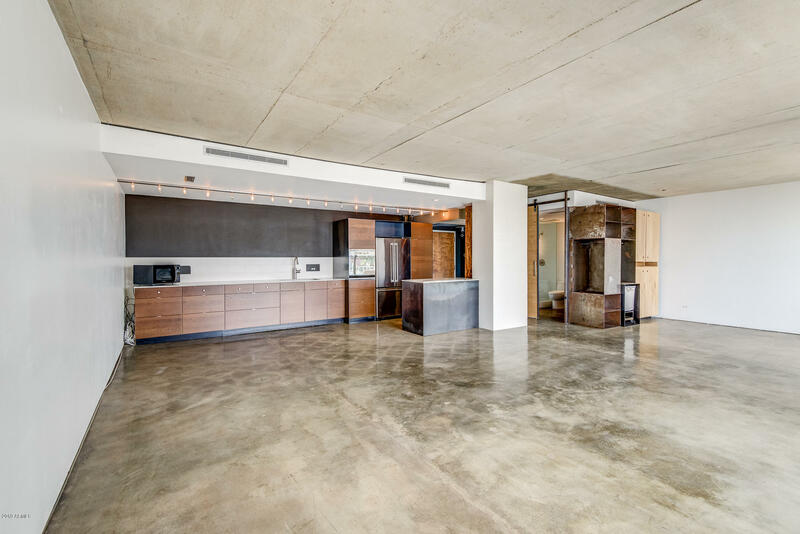 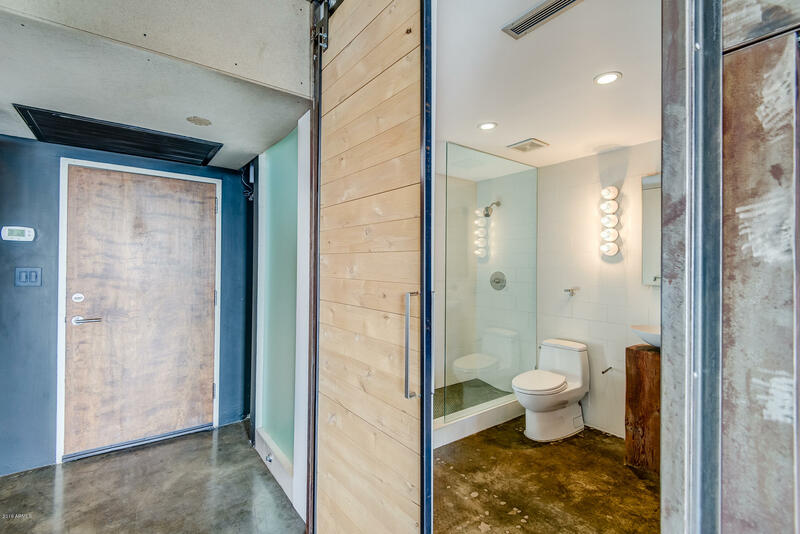 The feel and look is New York Loft with concrete floors, wood and metal accents. 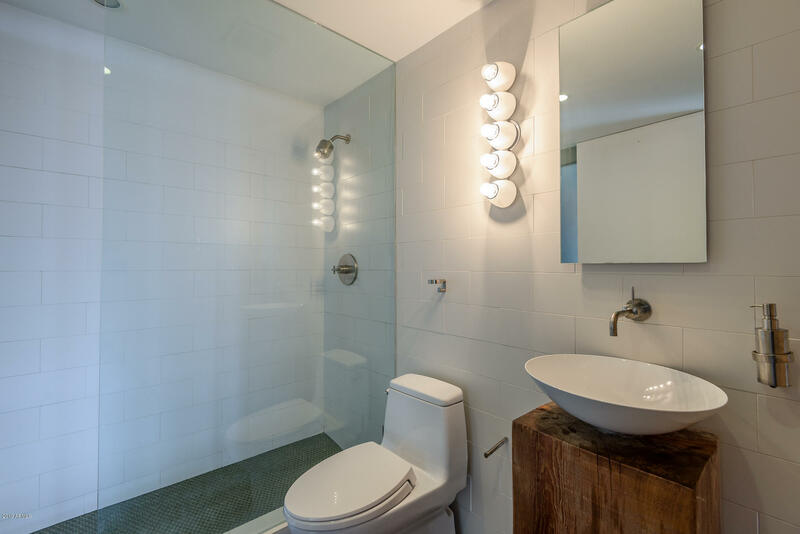 Both the kitchen and bathroom have been renovated with modern amenities. 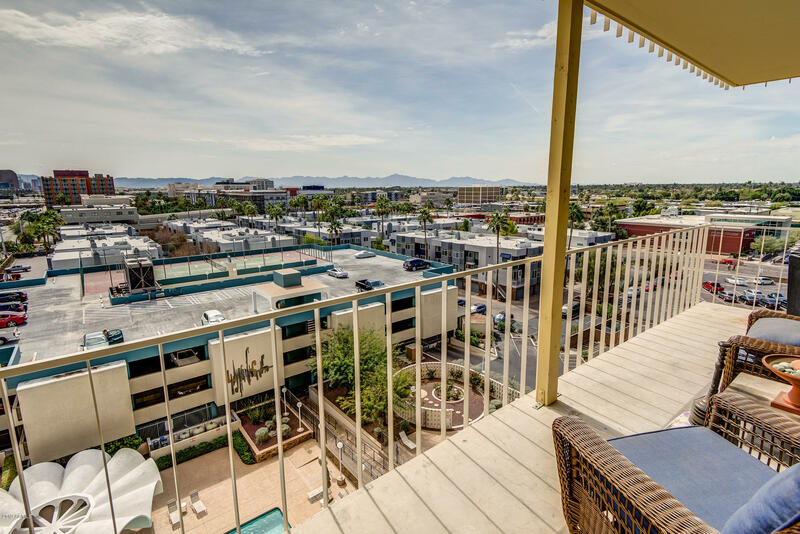 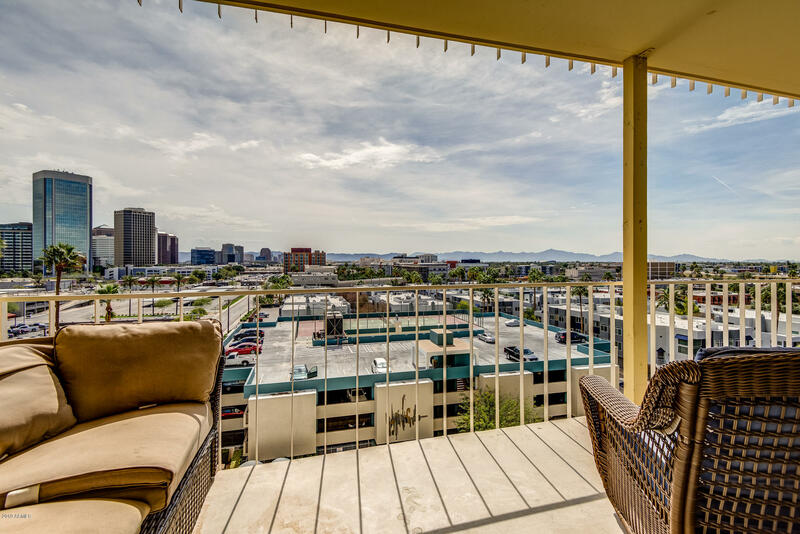 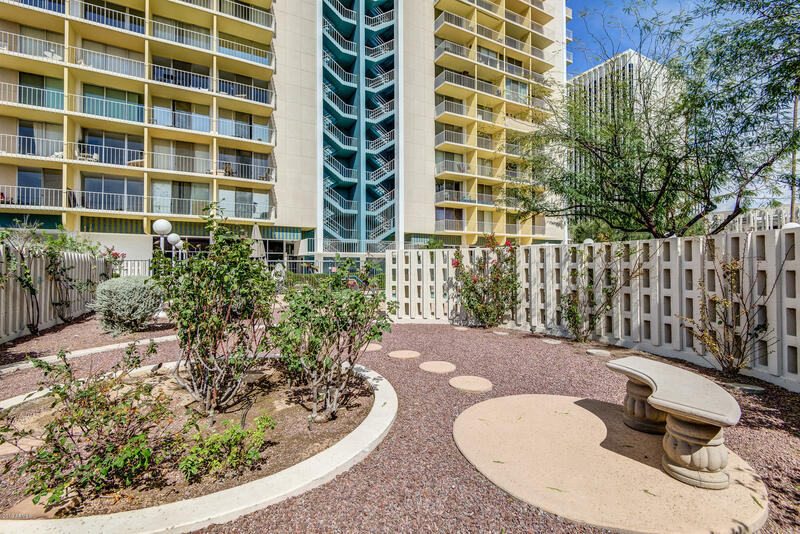 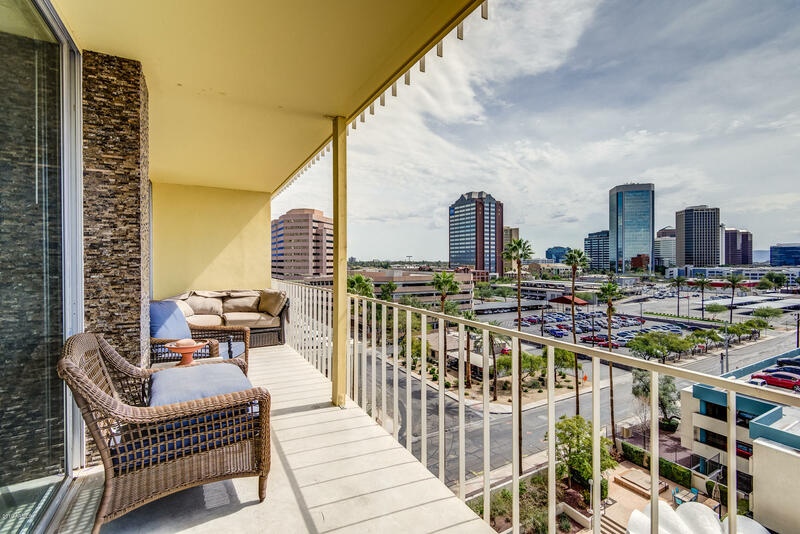 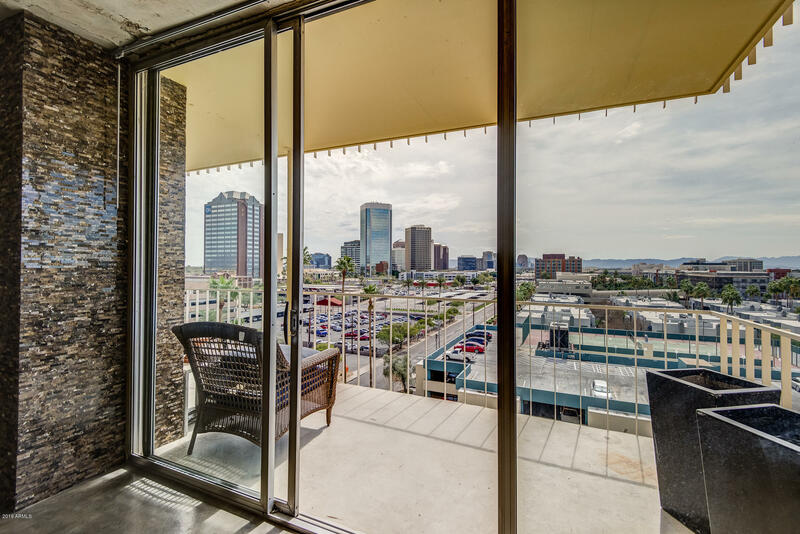 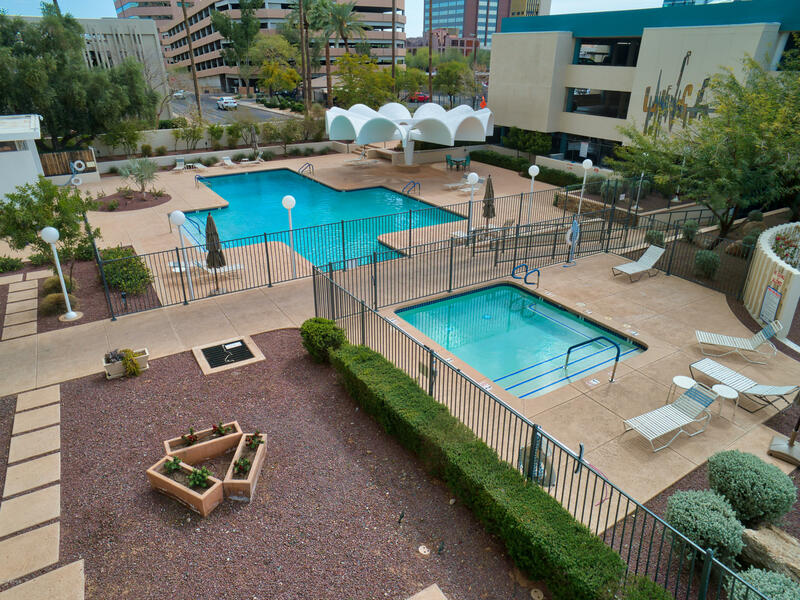 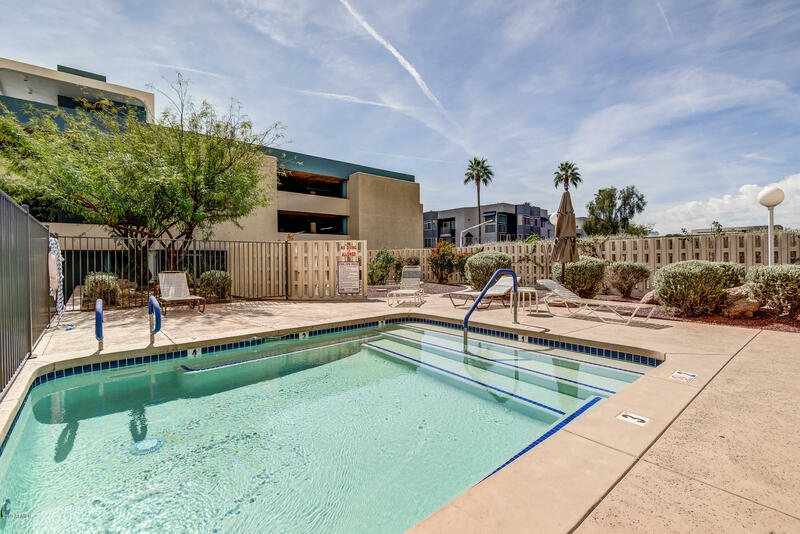 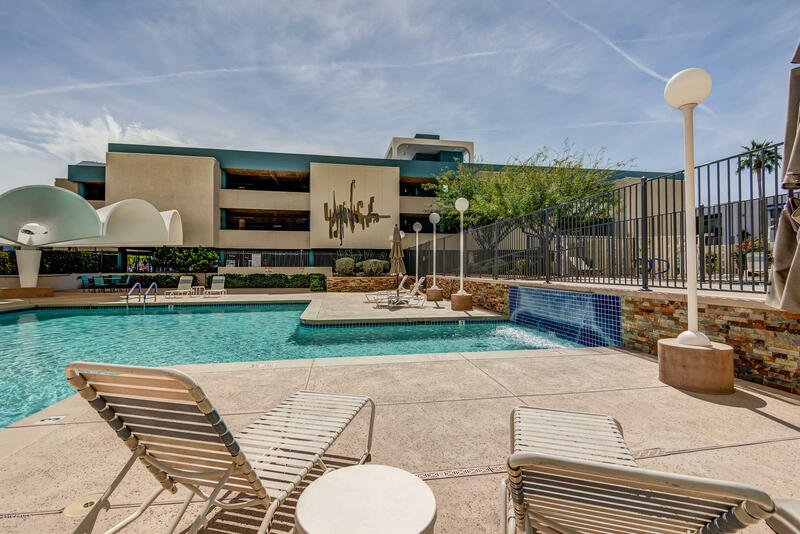 Your luxurious private balcony overlooks the pool with the Downtown Phoenix Skyline and South Mountain as your views. 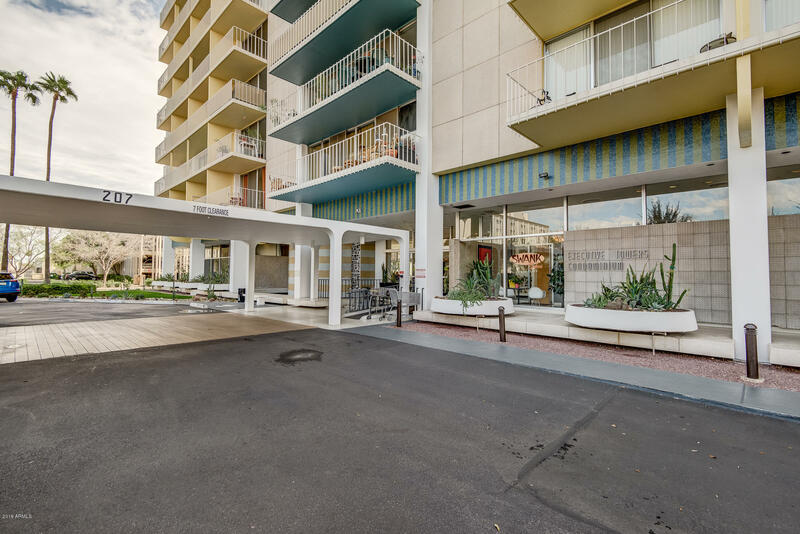 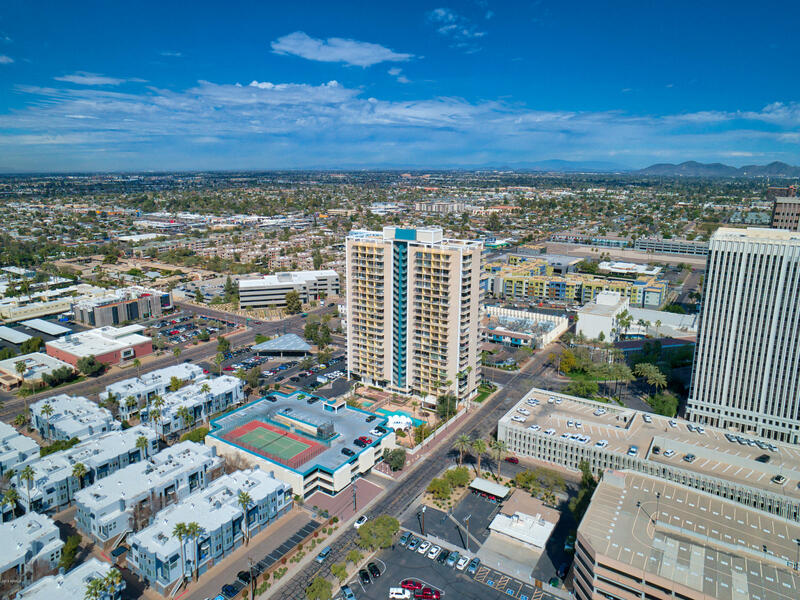 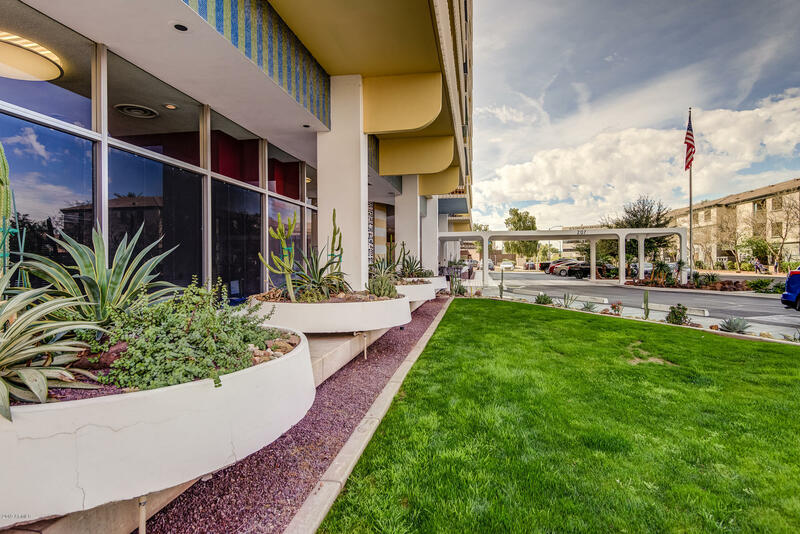 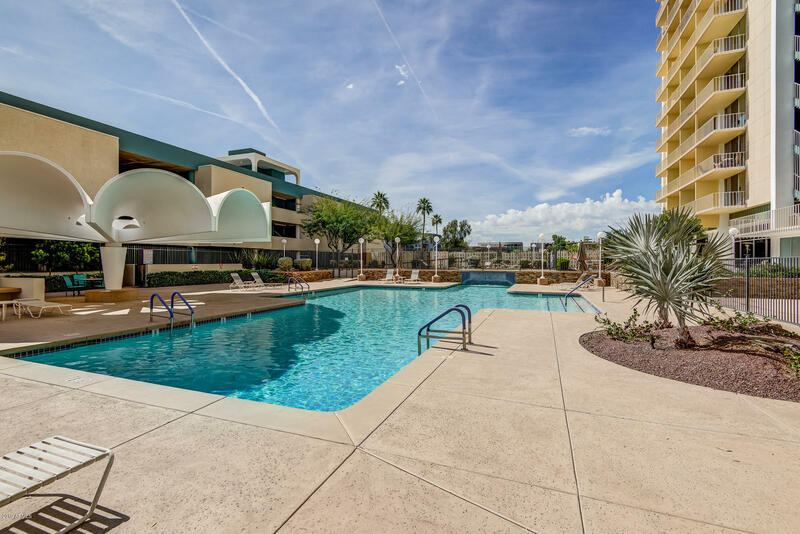 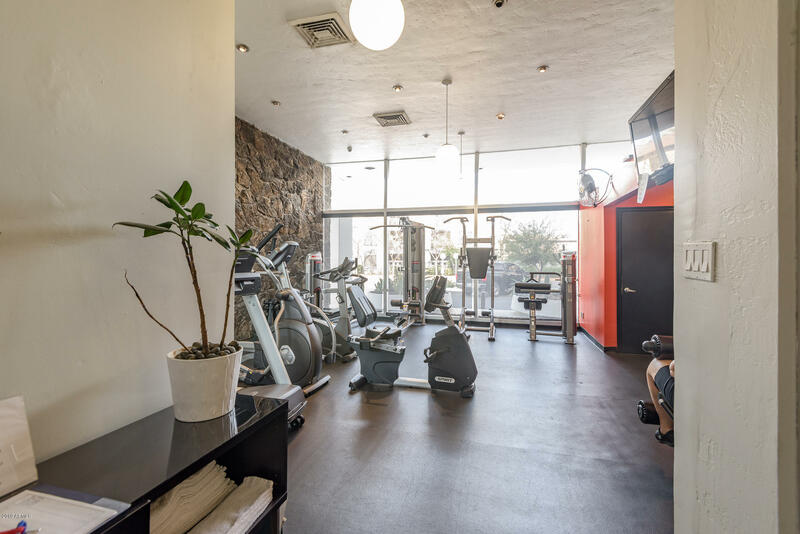 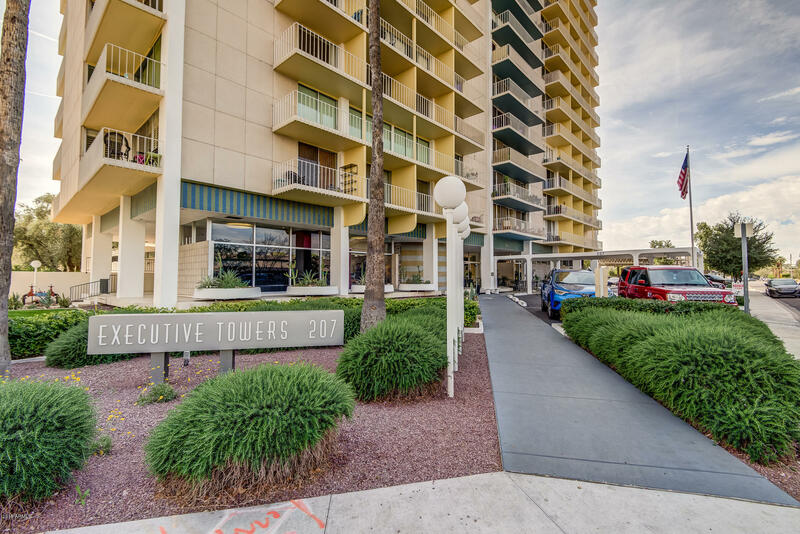 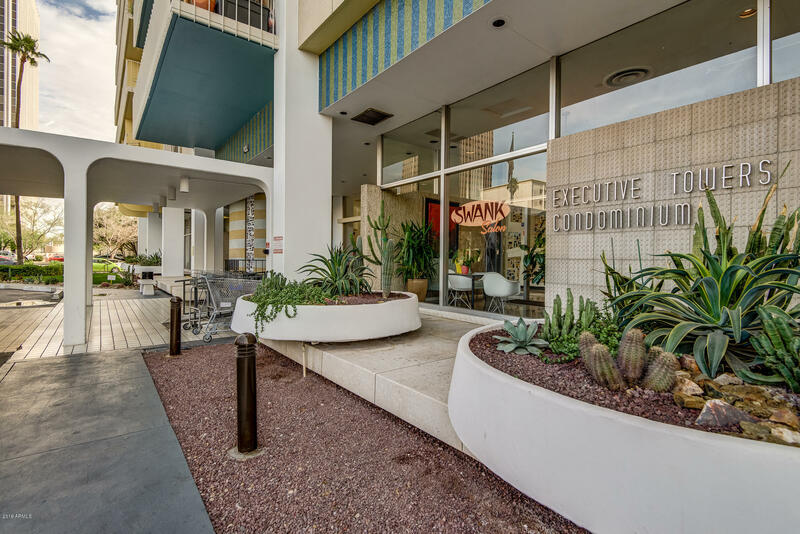 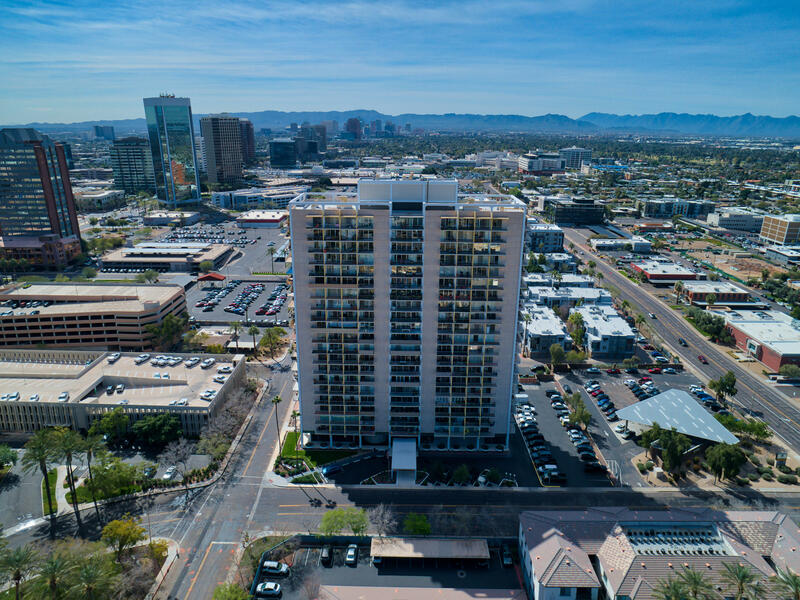 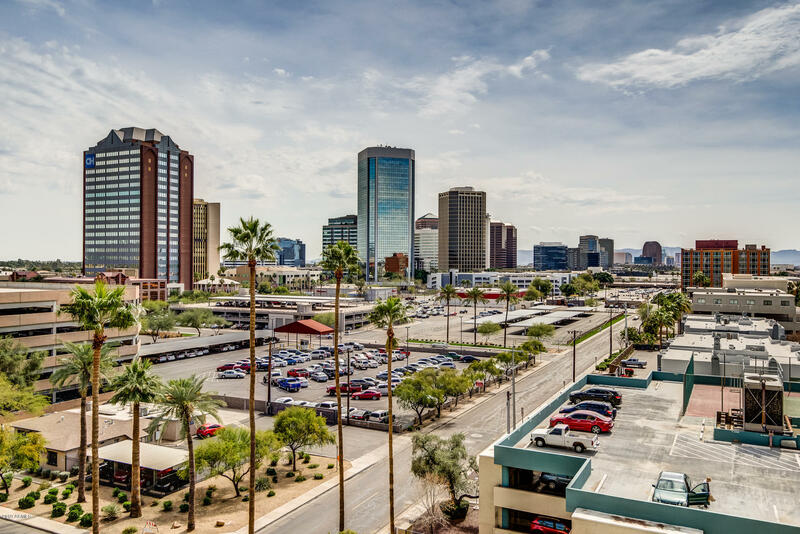 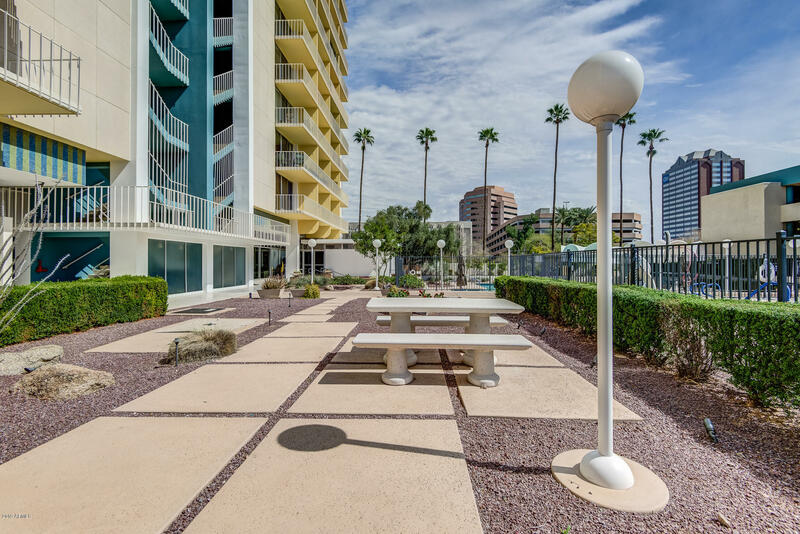 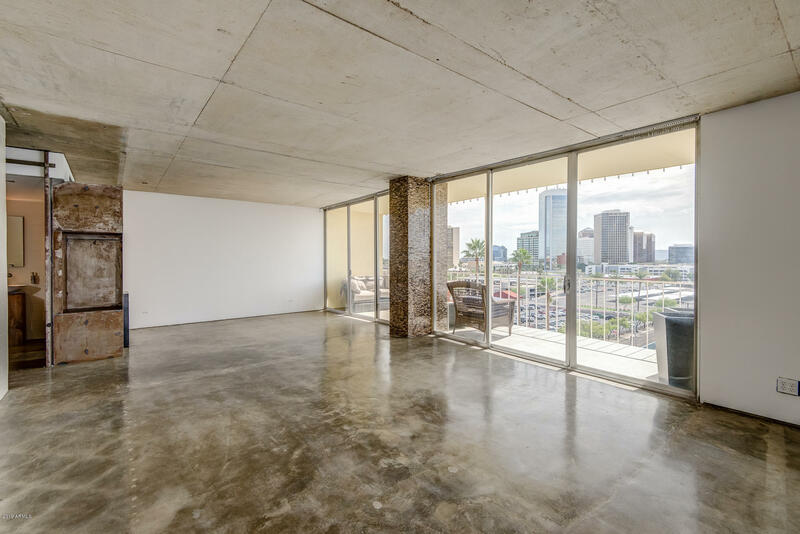 Just a block to the light-rail you're only minutes to the fantastic restaurants, nightlife, sports, shopping and entertainment of downtown Phoenix. This is the Executive Towers way of life.